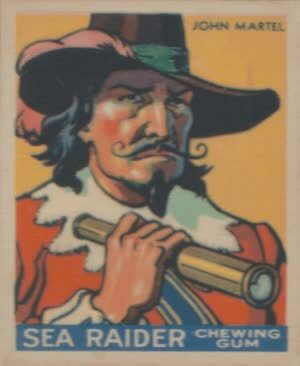 John Martel, also known as James Martel was a pirate captain from British Jamaica that was a privateer like many others during the War of the Spanish Succession. He was a ruthless piracy, once killing an entire crew of a prize merchant ship. After the war ended he turned to piracy like the rest of the Flying Gang at that time during the Post Spanish Succession Period. By September of 1716 Martel was raiding the shipping lanes off the coast of Jamaica with an 8-gun sloop. He then set sail for Cuba where he captured a ship carrying logwood named the John & Martha. Martel took the ship and removed a deck to make it more apt for piracy and then outfitted his new pirate ship with 22 cannons. 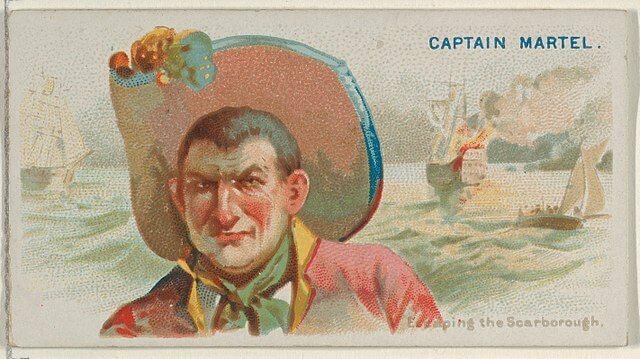 Martel set sail with his new pirate ship for the Mona Passage but while en-route he was mutinied against and deposed of as captain. He was replaced on the command of the John & Martha by a pirate named Kennedy and Martel was given command of his original sloop. He remained in the company of the pirates so maybe the mutiny was more a peaceful transition due to skill rather than malice. Next the pirates stopped by Santa Cruz where they careened their vessels around January of 1717. While careening on the island the pirates encountered the Royal Navy ship the HMS Scarborough and the pirates abandoned their ships in the water and fled into the interior. Martel's fate beyond this point is unknown and completely open to speculation.